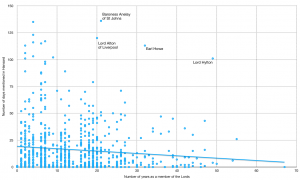 Retiring Lords – should we use age of length of service? There has been some press coverage today of another proposal on Lords retirements, this time to limit the length of service to 15 years. This isn’t the first time this has been proposed, and something similar with a ten year limit was part of Liberal Democrat ideas for House of Lords reform during coalition. 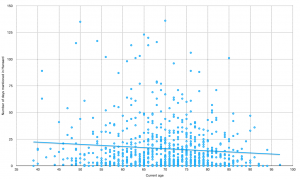 There’s certainly some link between age and contributions, with 90-year-old members of the house understandably contributing less than those in their 40s. 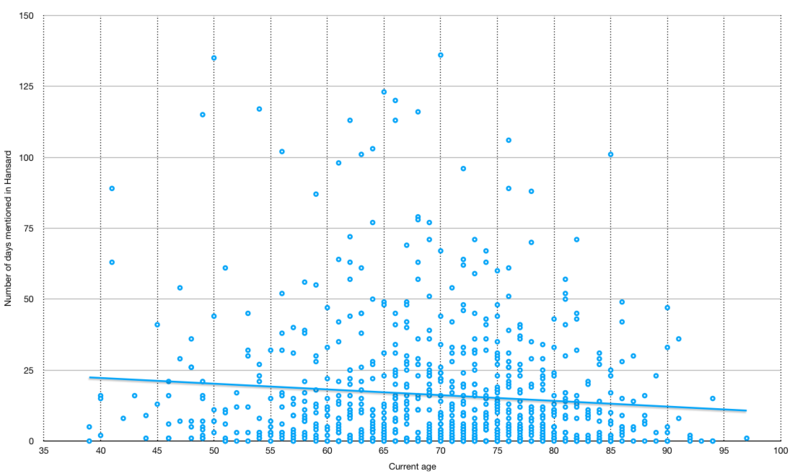 But there is no sudden drop-off and it is hard to identify an age at which members are no longer pulling their weight. The new proposals do not appear to retire existing life peers, so we would still have the problem I outlined in my previous post about needing members to retire to make more space any time soon. 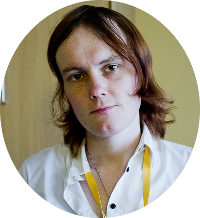 But if this proposal did go ahead, is there any drop off in length of service and contributions? As we can see, there is definitely a tendency for long-term members to be about less often but perhaps not as much as would be expected, and there is no obvious point at which peers suddenly stop attending. 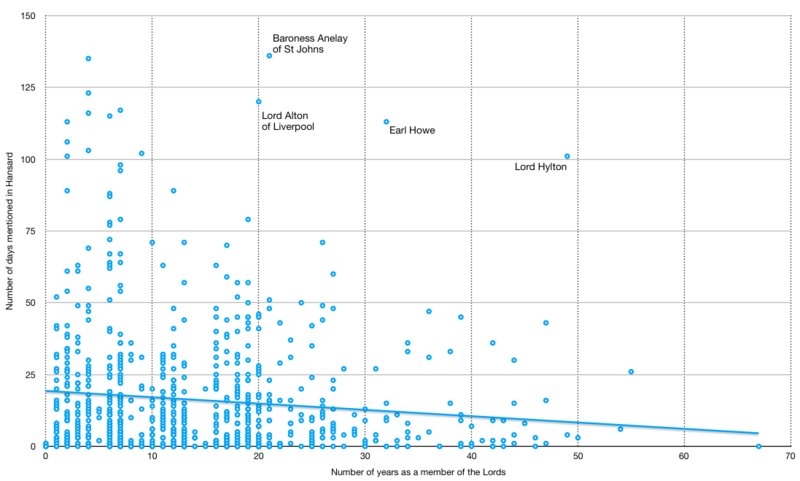 The most prolific Lords tend to be within their first five years but there are plenty of newer peers who don’t contribute as well as a number who manage plenty of engagement – cross-bench peer Lord Hyldon contributing on over 100 days over the last year despite having been a member for nearly five decades stands out, for example. So it would appear that term limits for peers are not perfect, but a better way of dealing with the excessive number of Members of the House of Lords than mere age.